He has called Caucasians a "subgroup of people" who have contributed the most to the world. He has tweeted "we can't restore our civilization with somebody else's babies." He has blamed abortion for killing "millions" of white babies. He famously quipped for every child of undocumented immigrants "who's a valedictorian, there's another 100 out there who weigh 130 pounds and they've got calves the size of cantaloupes because they're hauling 75 pounds of marijuana across the desert." "White nationalist, white supremacist, Western civilizationhow did that language become offensive? Why did I sit in classes teaching me about the merits of our history and our civilization?" Now former George W. Bush administration ethics lawyer and former Minnesota senatorial candidate, Richard Painter, is calling for King's expulsion from the House of Representatives. "This is treason. 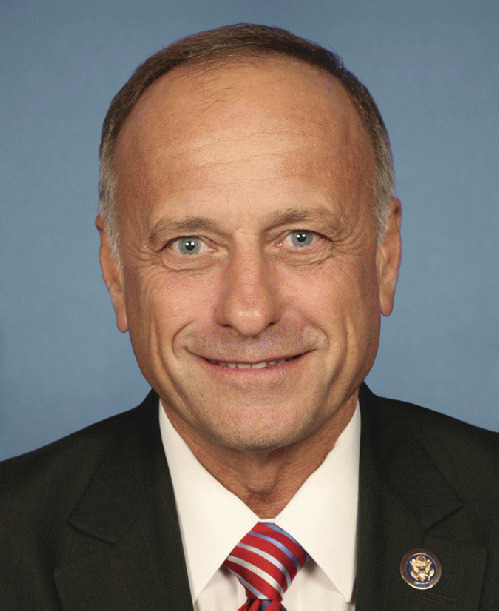 Steve King should be expelled from the House immediately."